Last year, a Canadian record shop called Apollo Music bought a filthy, trash-filled hoarder house. Why? Cuz it was full of records. At least 250,000. These are a few snapshots from the process, and they show the biggest and saddest collection you'll probably ever see. 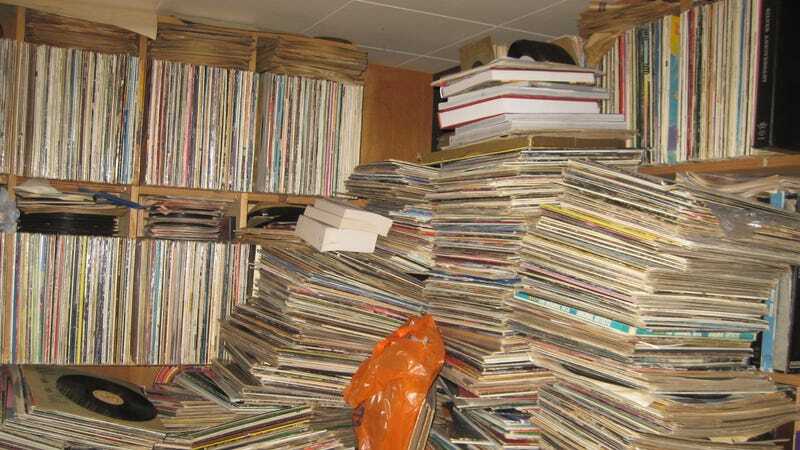 According to Apollo Music, when the home was purchased, it filled to the brim with not only records, but also actual garbage. After some serious digging though, hidden deposits of vinyl began to surface. These shots—taken during the six month cleaning and packing process—put any and all of your collections to shame. Unfortunately, Apollo's site provides little backstory about initial purchase, but it seems like this cache of records was the reason for the buy. Even without the element of surprise, seeing that in person must have been equal parts awe-inspiring and horrifying. Fortunately, it looks like plenty of those albums could have been salvageable.